This article is a continuation of our series on creating a new way of thinking about business insurance. As you consider your business insurance, we invite you to think about this subject in the much larger spectrum of “Total Cost of Risk”. Your business insurance program is more the premiums you pay. Operational - Operational Risk includes the cost of products, protection of property, insurance, damage to or destruction of supply sources for key raw materials, components, or services, injuries to employees or outside parties, damage to the property of outside parties including resulting consequential loss, damage to the environment, and employment decisions. Financial - Financial Risk includes risks associated with commodity price variability or commodity availability, costs of capital and borrowing, customer credits, business development, profit and banking costs. Strategic - Strategic Risk includes issues of risk that can have a major impact on the overall viability of an organization. 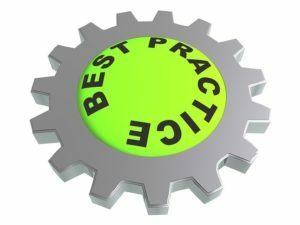 These include issues centering on reputation of the organization or its employees, loyalty to the organization of customers or clients, development of new products or services, meeting the demand for existing products or services, and pricing of the organization’s products or services. When you consider all your risks, it is important to understand how a well-designed insurance program can impact all these areas. Most businesses only look at their premiums when they evaluate insurance costs. We would like to provide an alternative view. For example, by only considering insurance premiums you are eliminating many other factors in your total insurance costs. Here are factors that make up your total cost of risk.